After literally months of teasing on Instagram, we are thrilled to finally release our newest sewing pattern, the Linda wrap dress! This dress is a favorite of both Eira and I as it is the perfect garment to be dressed up and yet still comfortable. Add the Linda to your handmade wardrobe and we promise that it won’t ever let you down! Our wrap dress has a relaxed fit with gathers in the front and the back of the bodice and skirt. The sleeves feature a with a two piece placket and a cuff closed by a button. Their mid-length makes it a perfect choice all year round to wear in the office to fight the freezing A/C in the summer and or the crazy over heating radiator. They provide coverage but won’t get in the way! It’s truly the details that make this dress special. The bias cut collar sitting at the base of the neck. The super practical side pockets and the double top stitching elevate a wardrobe basic to a special piece that you will reach for over and over. The cream color sample shown is made from a heavier 4 ply silk, while the black one was made from a wool blend crepe. Both fabrics are characterized by a nice drape, therefore we recommend woven fabrics with body and drape for this pattern. The waistband has an interesting a belt closure. We recommend a 35mm metal buckle but we can’t wait to see what creative alternative solutions you are going to come up with. Seeing your interpretations is the best part of designing sewing patterns! For the eyelets, you can use 2-piece metal ones with the ring (they provide a cleaner finish on both sides and the eyelet alone, or you can embroider them just like buttonholes. If you are in the New York City area, we recommend going to Jonathan’s Embroidery. a suggested order of operations. We strongly suggest that you make full use of the layered PDF files and print only the size your need, as we include as much information as we can directly on the pattern pieces. 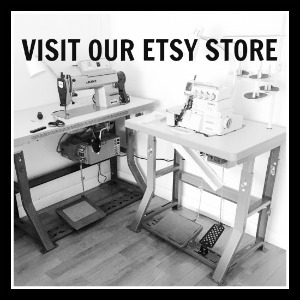 Just Patterns products are meant for dressmakers who like to do things their own way but if you need more help to sew your dress, our dedicated resource page is available. We can’t wait to see your versions of the Linda dress. Don’t hesitate to reach out to us by email or on Instagram @just_patterns #lindawrapdress!